Early and accurate diagnosis of Parkinson’s disease (PD) remains challenging. Neuropathological studies using brain bank specimens have estimated that a large percentages of clinical diagnoses of PD may be incorrect especially in the early stages. 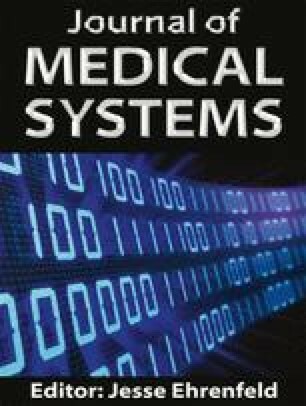 In this paper, a comprehensive computer model is presented for the diagnosis of PD based on motor, non-motor, and neuroimaging features using the recently-developed enhanced probabilistic neural network (EPNN). The model is tested for differentiating PD patients from those with scans without evidence of dopaminergic deficit (SWEDDs) using the Parkinson’s Progression Markers Initiative (PPMI) database, an observational, multi-center study designed to identify PD biomarkers for diagnosis and disease progression. The results are compared to four other commonly-used machine learning algorithms: the probabilistic neural network (PNN), support vector machine (SVM), k-nearest neighbors (k-NN) algorithm, and classification tree (CT). The EPNN had the highest classification accuracy at 92.5 % followed by the PNN (91.6 %), k-NN (90.8 %) and CT (90.2 %). The EPNN exhibited an accuracy of 98.6 % when classifying healthy control (HC) versus PD, higher than any previous studies. PPMI – a public-private partnership – is funded by the Michael J. Fox Foundation for Parkinson’s Research and funding partners, including AbbVie, Avid, Biogen, Bristol-Myers Squibb, Covance, GE Healthcare, Genentech, GlaxoSmithKline, Eli Lilly and Company, Lundbeck, Merck, Meso Scale Discovery, Pfizer, Piramal Imaging, Roche, Servier, and UCB.